Mobile Office. Security, mobility and reliance. Those are the three pillars that the Dell Latitude E6400 is built on. Even if a thoroughly efficient graphic solution for the E6400 with a Quadro NVS 160M graphic card would be available, the notebook concentrates on these core competences in order to offer a good starter price. How good the Dell Latitude E6400 cuts of in exactly these points you can read in the following test. The Dell Latitude D630 has had one of the most successful runs in business laptops, gracing the desks of countless professionals over the past two years. But at this point it's so long in the tooth that it lacks features as simple as a built-in media card reader—something that can be found on most business laptops today. The E6400 is a major upgrade from the previous D630. Dell has finally added an SD slot, has incorporated a trendier design, and continues to offer its wide selection of configurations and parts. A powerful, flexible, sturdy and well designed portable all-rounder, the Dell Latitude E6400's design and functionality caters very well to the needs of a wide range of users, be they relatively undemanding users who want something practical and long lasting, to power users that need to multitask extensively while on the move. Throw in a pleasing but serious aesthetic design and it becomes very easy to recommend. 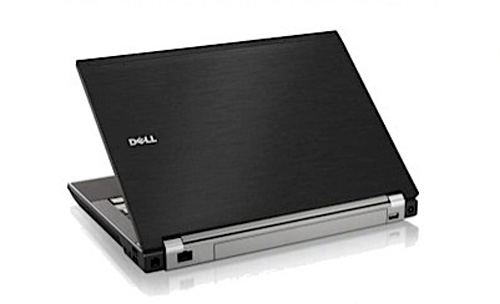 The Dell Latitude E6400 is a great performer and a solid replacement for the Dell Latitude D630. It seems to be built well enough to be thrown around in day-to-day use, and it's clear that Dell is trying to improve the Latitude line and offer compelling features ... like 19-hour battery life. We really couldn't find any major reason to dislike the E6400, but there are a number of "minor annoyances" that could make some businesses look elsewhere. As we mentioned, although the E6400 proved to be quite durbale during our tests, the alloy chassis is thin in some locations which makes the notebook "feel" less durable than it actually is. We're certain the thinner alloy sections where used in order to keep weight as low as possible, but flex is something you don't want to see in a business notebook. Overall, corporate clients who are looking for the next generation of business notebooks from Dell have plenty of reasons to buy the E6400. With its angular black mittel-Europa executive styling - BMW rather than Lexus - the Latitude E6400 certainly looks the part of a serious business machine. It provides all the connectivity - network and peripheral - you could wish for and decent performance, all at a surprisingly middle-management price. An excellent machine - as long as you're not intimidated by the styling. It is the law. We caught our first glimpse of Dell's new Latitude E-series when we came face to face with its semi-ruggedised E6400 ATG laptop. With a suitably burly build and plenty of carefully focussed business features, it was a promising debut for the range. Dell's latest business model is another superb outing for their recently released Latitude E-series. It's not cheap, though. A total revamp of Dell's ubiquitous business laptop line, the Latitude E6400 offers Intel's latest Centrino 2 mobile platform and introduces a brushed-metal design that works at home or office, but the real highlight here is the long battery life. It wasn't so long ago that we clapped eyes and hands on Dell's newly-redesigned Vostro range of laptops, designed expressly for the needs of smaller businesses. Now comes the turn of its premium business range, and the launch of Dell's latest Latitude E-series. To celebrate the occasion, PC Pro has an exclusive first look at the 14.1in Latitude E6400 ATG. A fine debut for the new Latitude E-series family, with only the price remaining to be seen. Bulletproof. The Dell Latitude E6400 XFR is the extra robust version of the E6400 business notebook and direct competition to the Panasonic Toughbook CF-19. The XFR can score points with the compatibility of the E6400 and the stable construction. How the "field notebook" turned out in the test, find out in the following report. Great protection, staggering performance and decent usability. Dell is one of the world's best known laptop manufacturers and makes a broad range of machines for both business and consumer markets. It's impossible not to be impressed by the E6400 XFR, however, and if you want to give your data the best chance of survival in extreme conditions, few laptops are better. This fully rugged notebook combines top-notch performance with impressive durability. Those in the market for a fully rugged notebook need something that can hold up to the elements, but it also needs to perform well as a notebook when Mother Nature isn’t abusing it. Dell’s Latitude E6400 XFR combines an already strong business laptop with one of the toughest exteriors we’ve seen. At $5,137, it’s about a grand more than the GD Itronix GD8000, but users can expect significantly better performance—albeit at the expense of battery life. 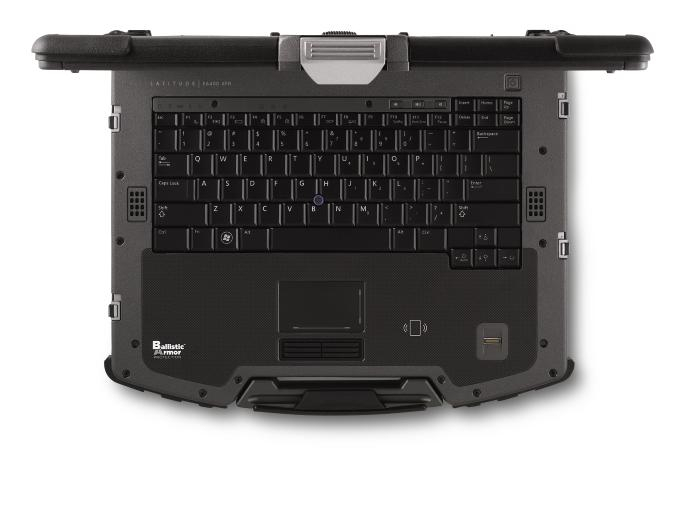 Overall, the E6400 XFR is a very strong rugged notebook, especially for customers who want to purchase all their laptops from a single vendor. Intel Graphics Media Accelerator (GMA) 4500MHD: Onboard (shared Memory) GPU built in the GM45, GE45 and GS45 chipset (Montevina). Because of two more shaders and a higher core clock, much faster than the old GMA X3100. Still not advisable for gamers (DirectX 10 games not playable or only with very low settings). The integrated video processor is able to help decode HD videos (AVC/VC-2/MPEG2) , e.g., for a fluent Blu-Ray playback with slow CPUs.NVIDIA Quadro NVS 160M: Based on the GeForce 9300M GS but optimized for the stable business use (special drivers and bios). Supports PureVideo HD to help the CPU decode HD videos. Memory speed: 400 MHz GDDR2, 700 MHz GDDR3» Further information can be found in our Comparison of Mobile Graphics Cards and the corresponding Benchmark List. 82.76%: This rating should be considered to be average. This is because the proportion of notebooks which have a higher rating is approximately equal to the proportion which have a lower rating.» Further information can be found in our Notebook Purchase Guide.